Winter is here nowt! Don't allow Mother Nature to catch you unprepared; come in today to buy a new OR used snow blowers. Save yourself from the dreadful chore of shoveling your driveways and sidewalks. For our customers who already have snowblowers, don't wait until the snow arrives to make sure your unit is still in good working condition. Snow blower repair and service.You can arrange for your blower to be picked up from your home, or you can drop it off at our location for a full diagnostics evaluation and service by our team of expert mechanics. Your unit will be returned to you as good as new and ready for anything the elements try to throw at it. Scroll down to see a small sample of our used snowblowers. Call for more information. Summer is here! Now is the time to be out and about riding electric vehicles; come in today to buy a new OR used electric scooter, go kart, or bicycle. Electric vehicles are a convenient, fun, and eco-friendly form of transportation for the summer. Great for kids AND adults - come in and ask about what electric vehicle is right for you! For our customers who already have electric vehicles, make sure your unit is still in good working condition. You can arrange for your electric vehicle to be picked up from your home, or you can drop it off at our location for a full diagnostics evaluation and service by our team of expert mechanics. Your unit will be returned to you as good as new and ready for anything. 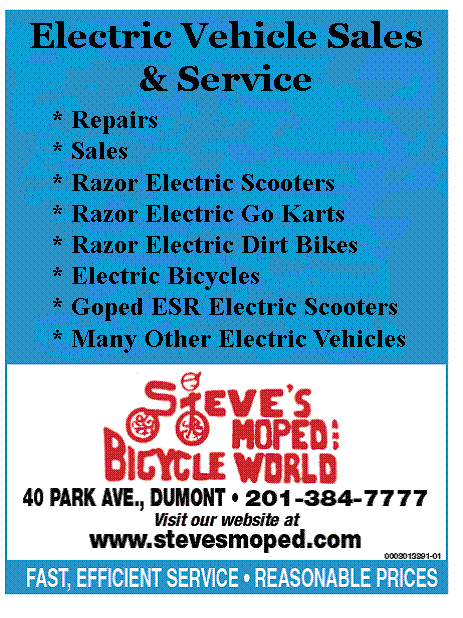 Click here to see a sample of the electric vehicles we sell. Call for more information. Comfort & practicality are defining characteristics for any bike. The Electrolite offers all of this plus the added benefit of electric bike technology. Powered by a smooth and quiet 250 watt direct-drive motor and removable rechargeable battery, the Electrolite will expand your range and increase your enjoyment on your bike rides. You can set the bike to variable-speed pedal assist mode for maximum range or switch to full-power throttle control for minimal effort. Available in 17.5" and 20" frame sizes. their hands on one of these. *NOW SHIPPING VELOSOLEX NATIONWIDE!!! 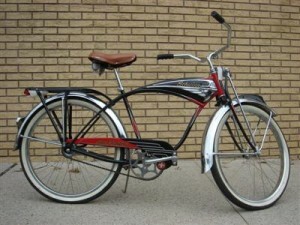 *Velosolex motor bicycle hand built in France , not sold in the United States since the late 1970s, is available once again to American consumers. For those familiar with the iconic French bicycle, the mopeds return will come as welcome news, while those yet unfamiliar with the Solex are sure to become fans of this economical, reliable and fun form of transportation. 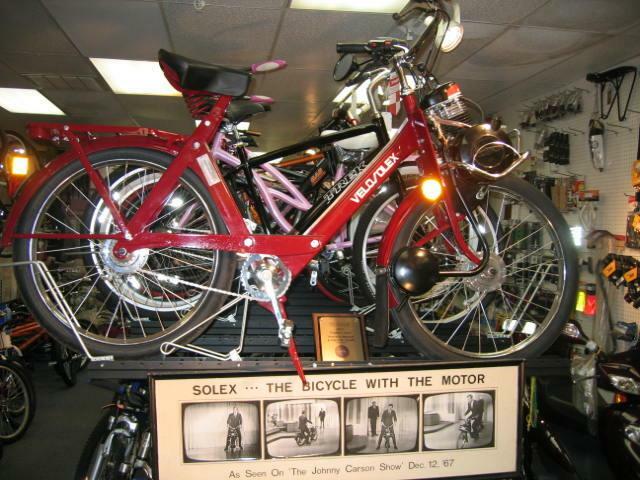 As the Solex makes its U.S. comeback, it gives pause to review its history, and introduce the company that plans to make Solex a part of the cycling culture on this side of the Atlantic. Up to 175 MPG, simply amazing! We ship anywhere. Elclusive importer & distributire for the entire USA! Twenty Velosolex S4800 were driven 2,666 miles in October 2008 on Route 66 from Chicago to California! That is over 50,000 miles in 1 month!